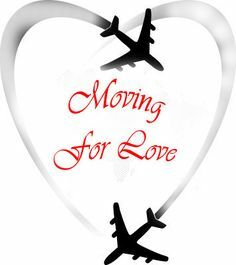 In our previous article we covered some important aspects to take into account when deciding to move abroad for love. Today’s article is for those who have taken the leap… or are about to! Here we give some pointers on creating a happy life in your new location, whether it’s a neutral country or the home country of your partner. Keep communication with your partner open and honest. Hiding the challenges you are facing, or being afraid to bring them up, will merely allow your feelings to build up until they start to affect your relationship (whether your communication, sense of intimacy, trust, or even sexual desire). Rediscover your identity. You are not only “someone’s partner”. You are “you” in a new environment and you are now challenged to be yourself in new ways or to develop new sides of yourself. Enjoy the process of getting to know these other aspects of you. Seek out the expat community in your new location. Meeting other expats will open up personal (and often professional) opportunities and give you space to discuss your unique challenges as an expat. Make local friends too! We encourage you to put yourself out there. Finding or rediscovering a hobby is a great way to overcome shyness as you already know you have something in common. Joining a club (anything from Rotary International to hiking) is fantastic for socializing as events are organized for members. Try to learn the local language – particularly if you are planning to stay for several years. As we mentioned in Part A, being unable to speak the local language feels a lot like being illiterate. Time to get learning! Know your legal and financial rights in the new country should the relationship not work out. No one who moves for love plans for this scenario, but it is always empowering to know your options. List five things that make you feel happy no matter where you are (e.g. listening to your favourite music) and have this list on hand when you are feeling down. Relocating a relationship takes some work. Sometimes it is hard to separate personal unhappiness in a new place from our own resentment at being the one who had to pick up and relocate. This may not have a particularly positive effect on the relationship you’ve moved thousands of miles to preserve. It can help to understand that relationships exist in an emotional ecosystem, supported and influenced by the friends and circumstances that surround them. When the external variables change– introducing a new friend group (or removing friends from the equation altogether), plus new jobs and a new neighbourhood – the relationship often has to adapt. If you are struggling to make the transition, remember that you are not alone. Expat Nest is here to help you. We understand the ups and downs of an international move and are inspired to help expats experience love and joy in their new location. Above all, remember this: prioritizing that beautiful thing called love is a wonderfully brave step to take. Enjoy the journey! Have you moved for love? What helped you live happily in your new country? We love to hear from you. Feel free to share this article with someone who has followed their heart abroad. And do subscribe to our Top Expat Tips if you’d like inspiration delivered to your inbox every two weeks! FEEL FREE TO USE THIS ARTICLE IN YOUR BLOG OR NEWSLETTER. 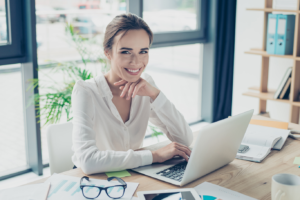 We ask only that you attribute Expat Nest and include the following: Expat Nest (www.expatnest.com) is a professional online counselling service for expats. That is nice post. It gives many tips to anyone who is about to move, sometimes people think it is easy to do that and no problem would be on board, but actually there are lots of issues that cannot be handeled unless you do some of the mentioned tips in your article. Thank you so much for your comment and glad that you find this article valuable! I moved across the world for love – from London to the U.S., to be with the man I fell in love with. We worked at the same company and spent two years visiting one another and travelling across the ocean to spend weekends together. When I finally moved to the States, I was still not in the same city as him (Boston) but in the same time zone (DC) so we were able to see one another more and speak to one another when it wasn’t the middle of the night for either one of us. It was a long process and, yes, there were challenges. But there were more challenged being apart and trying to deal with the distance. And I think by the time we were together, we were so relieved at being in the same place that nothing else mattered and all fell into place quite nicely. We’ve been happily married for almost eight years now so it had a very happy ending. Thank you so much for sharing your experience with us! You are an amazing expat who moved across the world for love! I think the most important is what you mentioned.. that there were challenges but you were more challenged by being apart and trying to deal with distance rather than anything else. Good article. When I was writing the Expat Partner’s Survival Guide, I almost didn’t put in a chapter about relationships. I thought I had the subject covered in other chapters. But something told me it needed more and so the last chapter I wrote was on this subject and I am so glad I did! I got some fantastic contributions – both good stories (including one who said her marriage was saved by moving abroad) and not so great (some people whose relationships ended thanks to the pressures of expat life). I definitely advocate counselling, even before you move if necessary, even if you think your relationship is ok. Thank you so much for your comment and for making us aware of your book! I look forward to reading it! I am curious to read the story of the one who said her marriage was saved by moving abroad. How did she achieve this?! Indeed the point of finding a life for you is crucial.. not only being somebody’s partner but being primarily you in a new environment in which you are asked to rediscover your identity.